For the royalty in your life, what could be a more approrpriate gift -- a substantial crown radiantly depicted surrounded by three- dimensional flowers as the border. 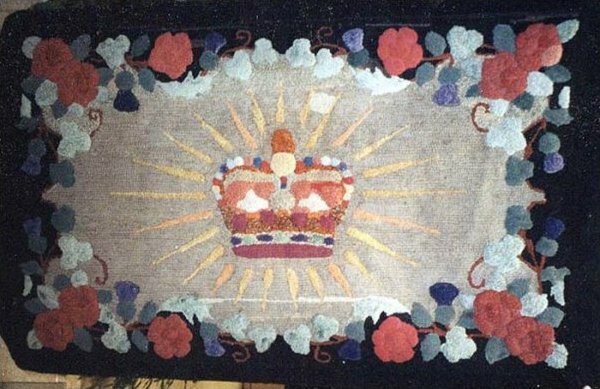 This raised, clipped style of hooking in the crown and flower elements is often called Waldeboro-type, but this rug is most likely Canadian given the subject matter and the dimensional treatment of the hooking. Found in Maine. Colors still vivid.